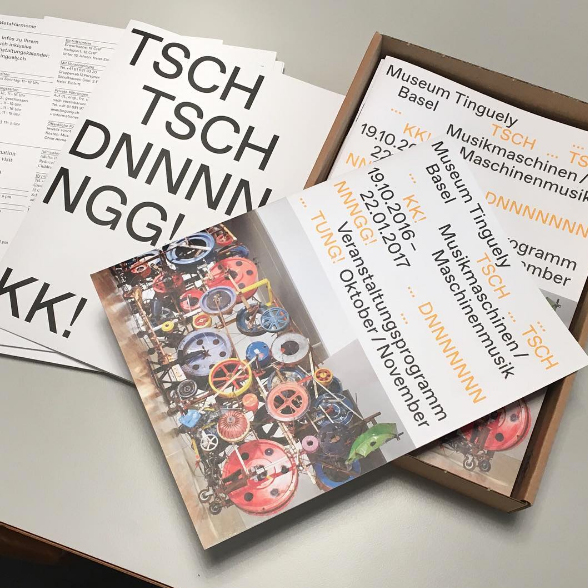 Gathered from across the globe, the Museum Tinguely Basel brought together all of Jean Tinguely’s Méta-Harmonie machines for the first time into a single exhibition. 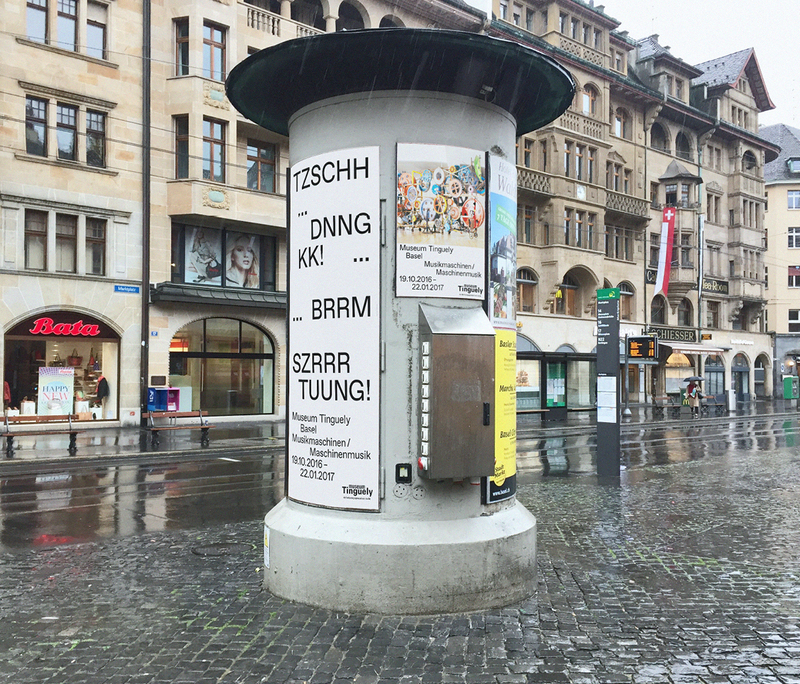 While working as berger + stadel + walsh, we were commissioned the communication for the exhibition and its catalogue. The underlying concept for the identity was a term coined as “Onomatopoeic Mimetism”. A computer program was created, interpreting the musical sounds and rhythms of a Méta-Harmonie machine into onomatopoeic sounds. 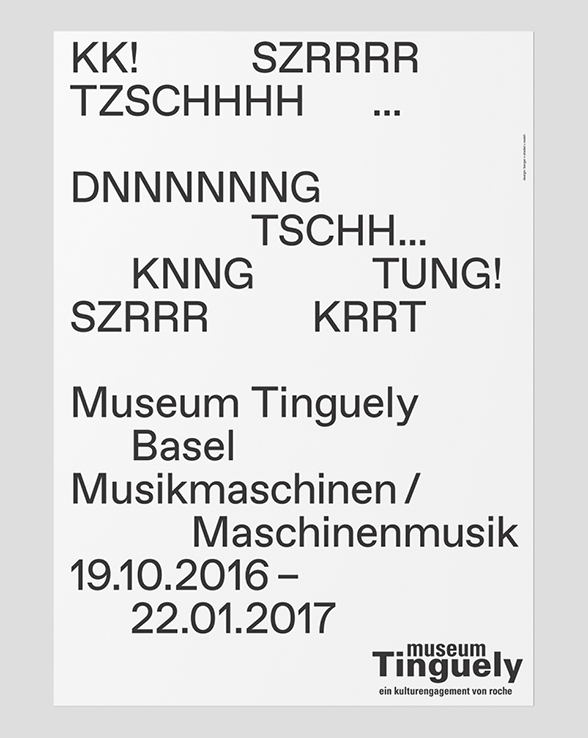 When paired with any of the musical machines, the automated program displayed onomatopoeisms in specific typographic strings of text. This same system was then used as the main ingredient for all print and digital applications. 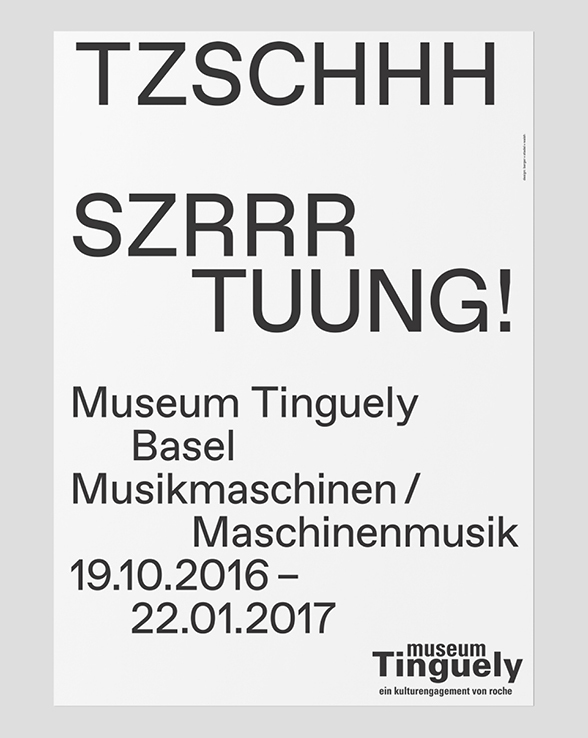 While Tinguely translated motion into rhythmic sound, we translated sound into rhythmic text. An installation piece was also presented alongside (and dependent on) the Méta-Harmonie machines during the exhibition. 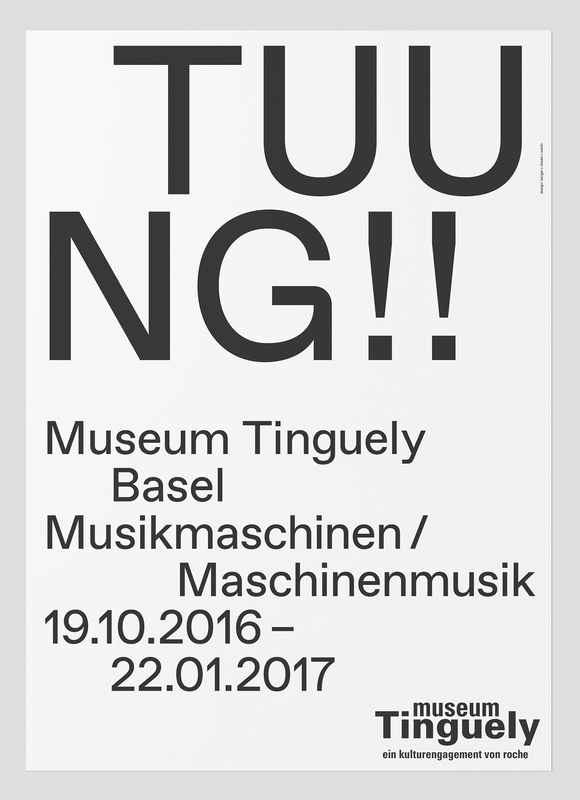 This became an artistic work functioning as both art and as the exhibition’s identity.